If you’ve been in the BYTE office lately, you might have noticed a new face at one of the desks! Brittney Potvin has joined us in the office a few days a week, acting as Program Coordinator for an internship program that is launching this year. 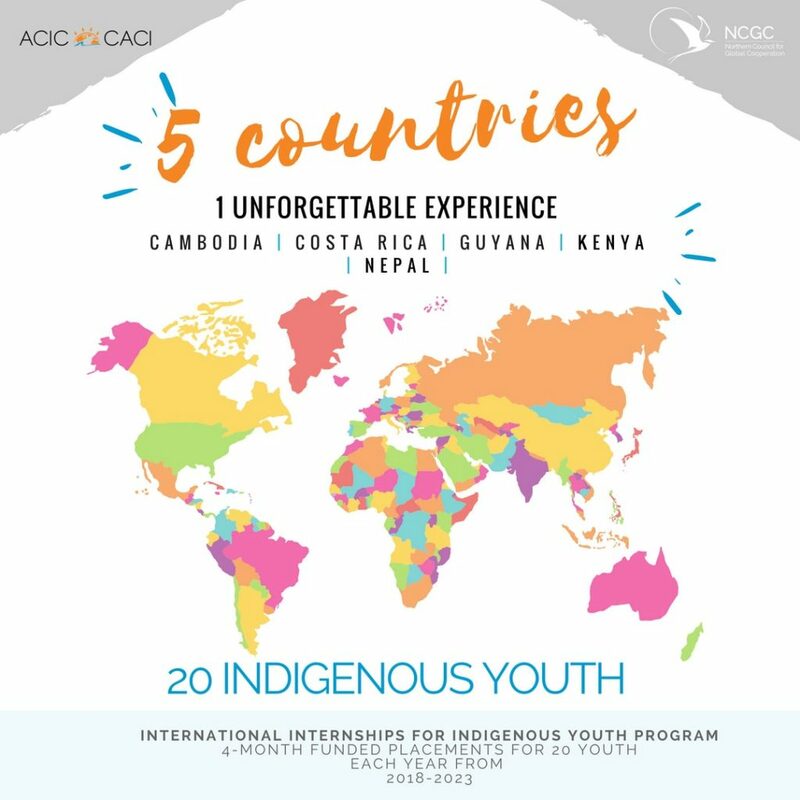 Northern Council for Global Cooperation, in partnership with Atlantic Council for International CooperationÂ (ACIC), BYTE Empowering Youth Society, the Confederacy of Mainland Mi’kmaq and the Native Council of PEI launched their International Internship for Indigenous YouthÂ (IIIYP) program this summer. This four month internship placement is offered to 20 Indigenous youth each year over five years, meaning 100 Indigenous youth will get the opportunity in total. Interns will be placed in five countries: Nepal, Costa Rica, Guyana, Kenya, and Cambodia. The first group departs October 2018 and returns January 2019. By participating in this program, interns will: be provided opportunities to gain transferable skills, learn how to engage with key development themes in their own communities and abroad, explore education and career pathways in the field of international and community development, build confidence and experience in public engagement, and build networks in the international development sector and their own communities that will allow them to put their skills and passion to work for positive change. More information about the program can be found on their website, along with eligibility, application guidelines and forms. There will be an information session on June 20th at 6:30 pm at the Whitehorse Public Library, with snacks and non-alcoholic beverages provided. If you’re interested, have more questions or want to meet the folks organizing the internship, we hope you attend! For more information contact:Â Dylan Letendre, IIIY Program Manager, Halifax:Â dylan@nullacic-caci.orgÂ or Brittney Potvin, IIIY Program Coordinator, Whitehorse:Â brittney@nullncgc.ca.